Version 1: Rough and ready, basic, no frills Hill Fort near Rorikstead. Completely open source. Happy modding! Update: Due to work commitments i hereby give full permissions for anyone to take this start point and do their own version! I look forward to seeing your creations! Enjoy!! First release of my early Motte and Bailey castle near Rorikstead. These types of fort were extensively used by both the Angle Saxons and Normans in Britain and Europe from the Dark Ages through to the Middle ages. This mod aims to be lore friendly and as accurate to history. 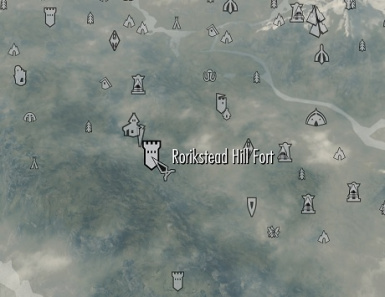 I will create an alternative Hill fort without the Motte somewhere in the Reach (Near the Forsworn) and i have decided to release as a separate mod. Hope you like it!! Please let me know of any issues and suggestions. If it's not 100% right for you can I suggest you use the brilliant Pocket Empire Builder Mod to tweak to your individual needs?